When you are going on a road trip, the only way to go is with Thule and Yakima Cargo Carriers. Thule helps you keep all the space and leg room you need in your vehicle for those long trips while providing a hard shell protection and security for all of your gear. 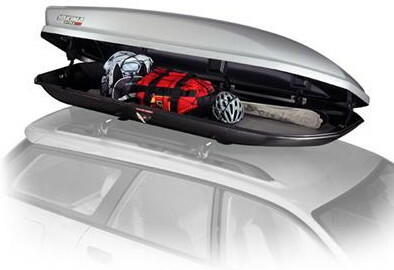 Thule and Yakima Carriers protect your gear from all the elements while still offering a sleek aero dynamic design. The first step when choosing a roof-rack system is determining what it is that you want to carry or, more precisely, how you intend to use your rack. If you’re a contractor, for example, and you may end up using your roof rack for work equipment, then Rhino-Rack’s Heavy-Duty square crossbars will likely be a good choice. If, on the other hand, you wish to carry only a couple of bikes, then any bars will suffice. Most Thule and Yakima Carriers and accessories will fit nearly all square, round, aero and elliptical bars on the market. But if you have a specific idea of what you want to transport, then you may want to consider choosing your carrier first so you don’t run into any compatibility issues. Always be aware of weight limitations. The maximum capacity of your roof-rack system will be dependent on the lowest-rated part of the system. So, if you have a roof-mounted cargo box that has a weight capacity of 150 lbs, roof-rack crossbars that are rated at 200 lbs, and these are on a roof rated at 100 lbs, then you cannot load more than 100 lbs.